Carbon Brief has extracted data from around 70 peer-reviewed climate studies to show how global warming is projected to affect the world and its regions. 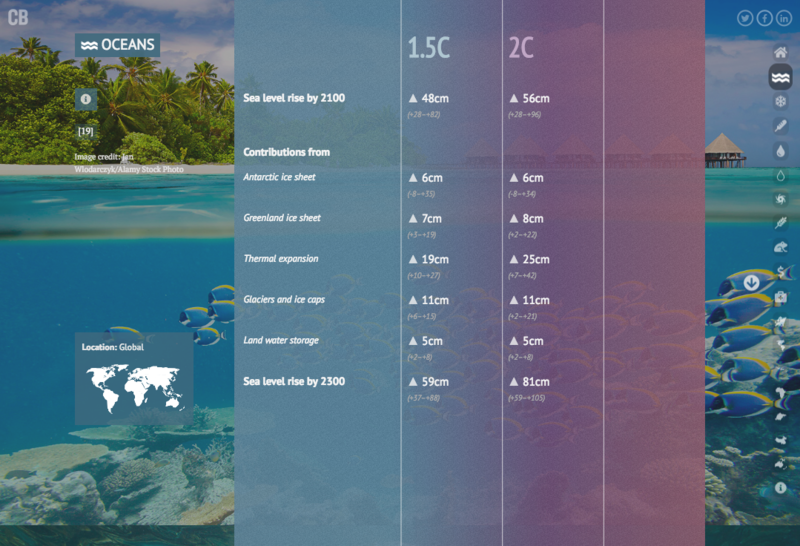 Scroll to see how these impacts vary at different temperature levels, across a range of key metrics. Find specfic categories and regions below. Carbon Brief is a UK-based website covering the latest developments in climate science, climate policy and energy policy. We specialise in clear, data-driven articles and graphics to help improve the understanding of climate change, both in terms of the science and the policy response. We publish a wide range of content, including science explainers, interviews, analysis and factchecks, as well as daily and weekly email summaries of newspaper and online coverage.